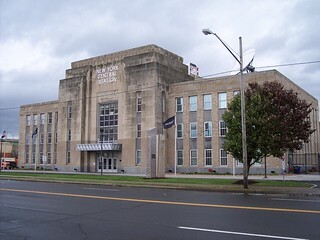 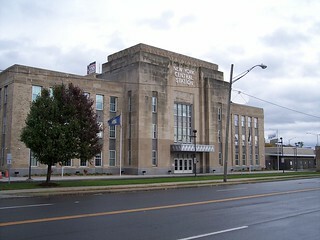 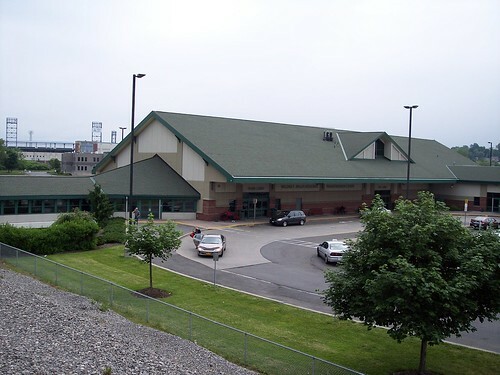 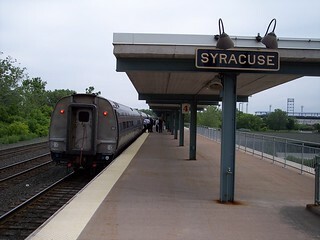 Syracuse has a large modern station. 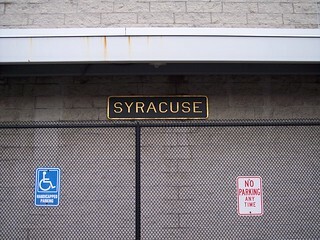 We had about a 30 minute wait here on our return from Niagara Falls. 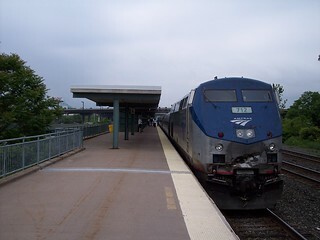 Our train waits at the station. 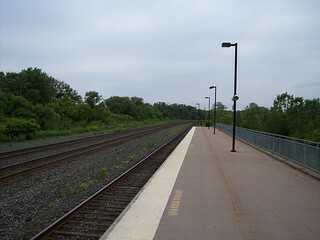 Looking west and east down the tracks. 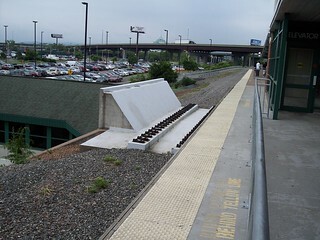 It appears that at one time an additional terminal track was planned, probably for the former commuter line. 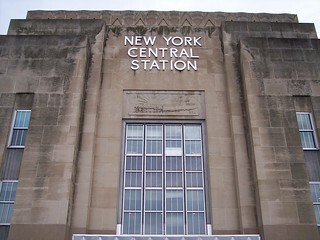 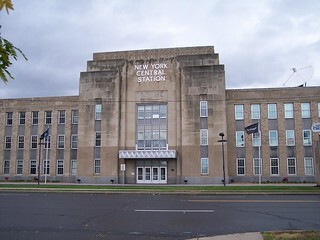 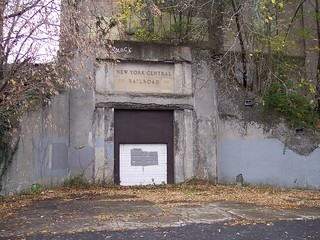 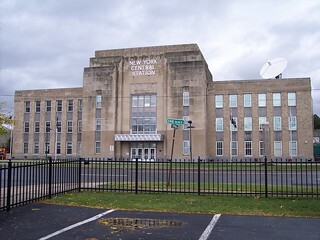 The former New York Central station still stands in the center of the city. 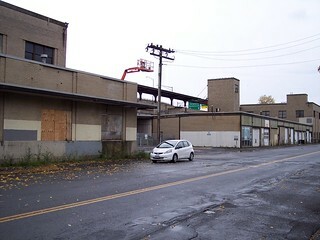 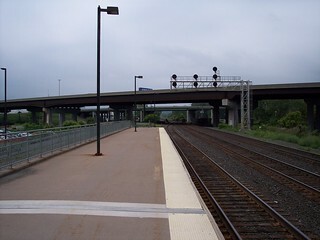 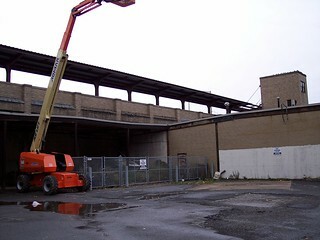 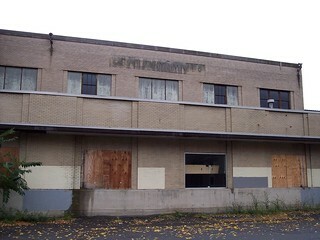 An Interstate highway now runs where the platforms once stood, although one platform remains.